Join us and fellowship while enjoying a great meal! Our monthly fellowship meal is usually held the first Wednesday of each month. It is a great opportunity to visit and enjoy spending time with other believers in a relaxed, casual place. If you are a visitor or guest, we’d love to have you share this time with us and get to know you better. Come dine with us! Every guest gets a “free meal” – don’t bring a thing! 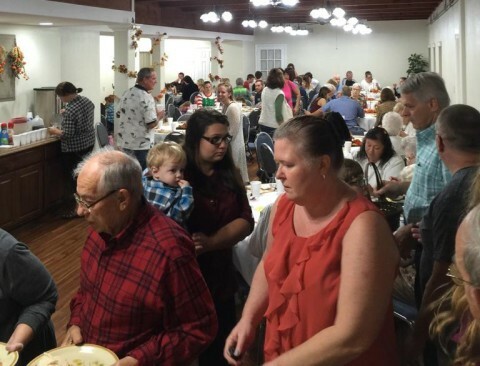 Our church members will provide the entire meal – the main entrée, side dishes, beverages and delicious desserts. In the Fellowship Hall at Beachside Baptist Church.